This beautiful trophy is 8.25" and weighs approx 2lb 2oz. 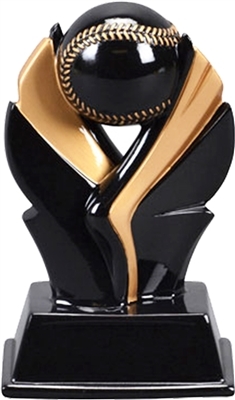 Comes in a shiny black finish and features an attractive baseball graphic. Small & Medium sizes available too.